That changed when I met Cecilia. I enjoyed her company and liked her right away. I felt we would become good friends and spend many hours enjoying each other's company in my backyard. Little did I know that she was trying to get rid of me and take over my home and my pretty backyard. I had to kill her. Too bad. We could have been good friends. 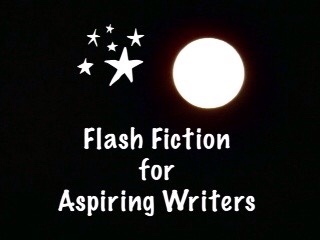 This is my 118 word story written for the flash fiction challenge, Flash Fiction for Aspiring Writers. We are given a photo prompt and approximately 75-175 words with which to create our stories. It is fun and everyone is invited to participate. For more information, click HERE. Nice twist in the tale PJ! Wow. Both of them are killers. This looks like a wonderful place for reading, or eating with your friends. Beautiful. Thank you so much! The picture is from one of our participants. It’s a lovely looking place! I still remember it. I love a well mowed, and trim yard. This looks like a wonderful place to talk, gather to eat, or a place to do some reading. In the early morning it would be delightful. Yes, it would be delightful in the morning! 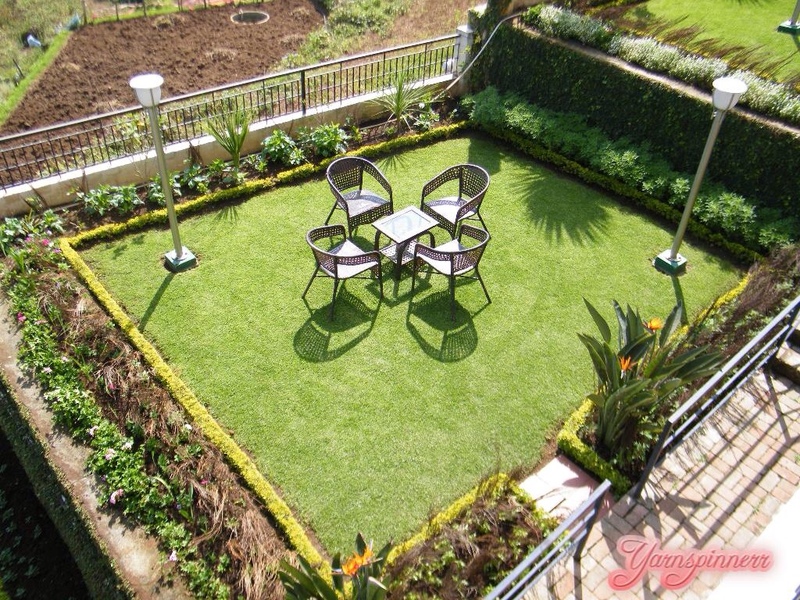 Keeping a lawn like that is very time consuming and costly. Well worth it though if you have the time and money. I don’t have the money, or the time. I love a well, groomed yard. Some have the money, and others take the time and save their money. I would think this would not get out of hand. I used to mow the lawn, but with my pacemaker, I’m not mowing any more. Smile. I use to keep a nice lawn like that too but it was so time consuming and costly I decided to let it go natural. LOL! Yes, you don’t want to cross her! LOL! Both ladies sound fickle. Now that’s disturbing (but good). i wonder what the killer did with the body – I can’t imagine it’s buried in the garden – that might spoil the perfect lawn. Hahaha! I hadn’t thought that far ahead. As they say in England my home is my castle, and in this case the garden too. LOL! That is called a hard twist. Hahaha! Thank you Iain! Nice. I didn’t expect the ending. Hahaha! Yeah, she killed off her friend! But, I guess she wasn’t a friend after all. Yikes! that is a heck of a twist!!! Brilliant PJ!!! Thank you so much Jodi! For some reason that is the way the story ended up. It surprised me too! LOL! What a brilliant twist in the tale! Loved it . Hahaha! Yes, she is good fertilizer for her lovely garden! How much was it her, and how much was it in the narrators head? It was a very chilling story though – loved it. You got that exactly right! She was crazy! Thank you so much! LOL! Yes, it is dark! Thank you so much Terri! Wow, that was sudden. Let me guess…she’s buried in the garden? Hahaha! Yes, I bumped her off quick so I could use her as fertilizer! LOL! fantastic! I thought she would get away with it, so glad she got her comuppence! Hahahaha! Yes, I had to kill someone off! LOL!! Yes, that is because the narrator is crazy. Hahaha! Joy, I Love your story… 🙂 Ha! Ha! I didn’t realize we were on the same page! Just barely getting this one in before the deadline and beginning to read others. I really enjoy participating in the challenges and appreciate you posting them each week. Thank you so much Jessie! I love that you participate each week! Yes, I made the character a psychopath. LOL! This is funny PJ in dark way. Reminds of the words ‘eat or be eaten.’ If she didn’t kill her friend, her friend would have killed her. I like how she is slow blasé about but regrets that they got along so well. Nice twist and great story! LOL! Very true Mandi! I think she is a bit crazy too! Haha! Thank you so much!